Android wear comes with watch faces, but it is not necessary that you will like the thing that is already preloaded there. So, for all you users, here is a simple way of selecting hundreds of customized watch faces. The best part of Android is that people get to explore their own preferences out there and there is no need to stick with the essentials that are preloaded in there. Due to its flexibility you can change it as per your orientation. One of the most interesting part of the smart watch is that you can change its look, which is missing from your regular wear. This is one of the reasons it is termed as a smart watch along with its various other features. Android always knows what the users can demand and that is the reason they are always ready with the things. 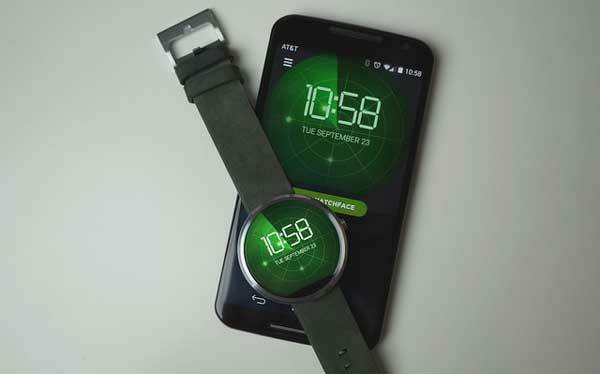 Therefore, you can already see various customized watch faces are trying to grab the attention of the users. It doesn’t matter whether the smart watch that you are wearing is round or square because you will have a suitable watch face to choose from thousands of options out there. Now that you know, watch faces are available for your use; you must be wondering how to install them properly! Fret not; here we will be discussing how you can make use of the new customized watch faces in a jiffy. First things first, you will have to get Facer installed in your smartphone. It is an app which has loads of customized watch faces and you will be able to avail them just for $1. Once you are done with the installation, you will find the app placed right beside the watch faces that comes pre installed in the smart watch. In case you are in haste, then you can just press the face of the smart watch for long and you will have the options pop up right in front of you without much ado. This is the most difficult part of the whole process. There will be so many options right in front of you that you might get confused about which one to go for. As mentioned earlier, shape doesn’t matter, so even if you have a round one, then also you will have umpteen numbers of customized designs to select from. There is FaceRepo, which is becoming quite a rage, apart from that you will have several others which can define the look of your smartwatch like that of Casio’s face. Once the selection is made, it is time to download the smart watch face by clicking on the download button. When you do that you will be asked whether you want Facer to continue, you can select yes and complete the download. You will now see an arrow, pointing out to the face that you have selected. Wait for some time and the watch as well as the phone will synchronize. Now you are ready with your new face for your Android smartwatch.